The Gunnison Valley was built on the backs of tough people. From miners working on the side of mountains to ranchers clearing fields, there is an ethic borne of sweat and blood and hard work. But they still need help. In the depth of their struggles even the toughest need friends and family and community to come alongside them to provide support and encouragement. 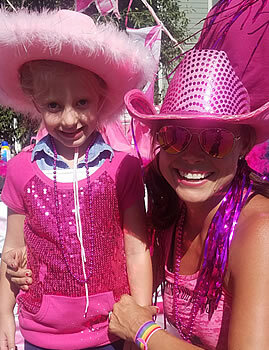 That’s exactly why Cattlemen’s Days Tough Enough to Wear Pink (TETWP) exists. For the past 12 years, TETWP has remained committed to supporting breast cancer care, prevention, and awareness in the Gunnison Valley. And they’re doing a fantastic job of it. With close to $2 million raised to date, TETWP has become a standout local chapter of the national organization and is the number one fundraiser of the 300 chapters throughout the country. This summer, TETWP committed close to $400,000 to bring 3D Tomosynthesis Mammography to Gunnison Valley Health. That’s where 3D Tomosynthesis comes in. The new technology allows for better cancer detection in women with dense breast tissue, something that is more common here in the Gunnison Valley than the rest of the country. The effort to redefine rural breast care is a team effort with GVH and TETWP collaborating on a strategic plan to provide the strongest breast cancer care available anywhere in rural America. Dr. Timothy played a key role in getting a state law passed mandating the reporting of breast density classification in mammography reports. GVH has partnered with a group of 90 world-class radiology specialists in Denver to serve the community. And TETWP has now provided the equipment that ties it all together. “When the level of expertise we get with our radiology group is coupled with a piece of equipment as advanced as the new 3D Tomosynthesis Mammography machine, we can offer a level of quality that rivals absolutely anywhere in the state,” says Santilli. 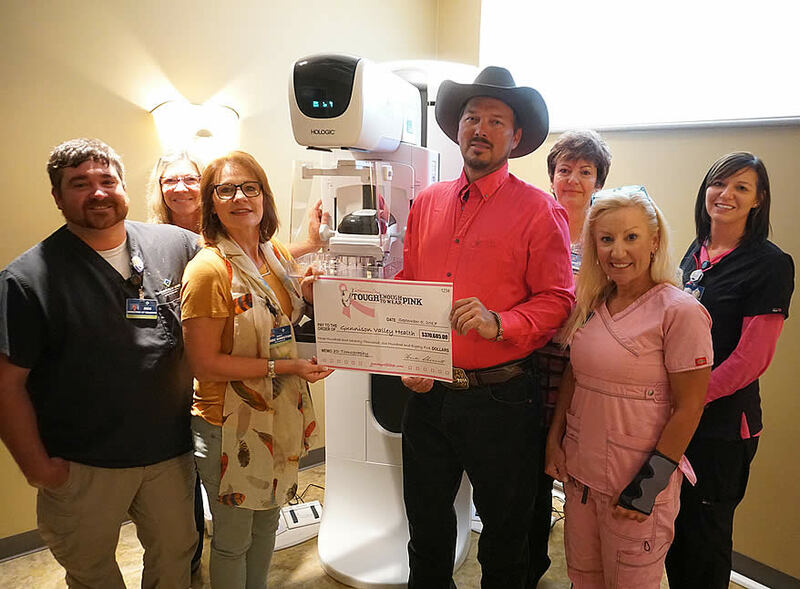 “3-D Tomosynthensis will enable us to better screen and serve dense breast patients in our valley, and we are so excited to be able to provide this in our valley,” says Timothy. To find out more about the work GVH and TETWP are doing together, visit www.gunnisonvalleyhealth.org/tough.